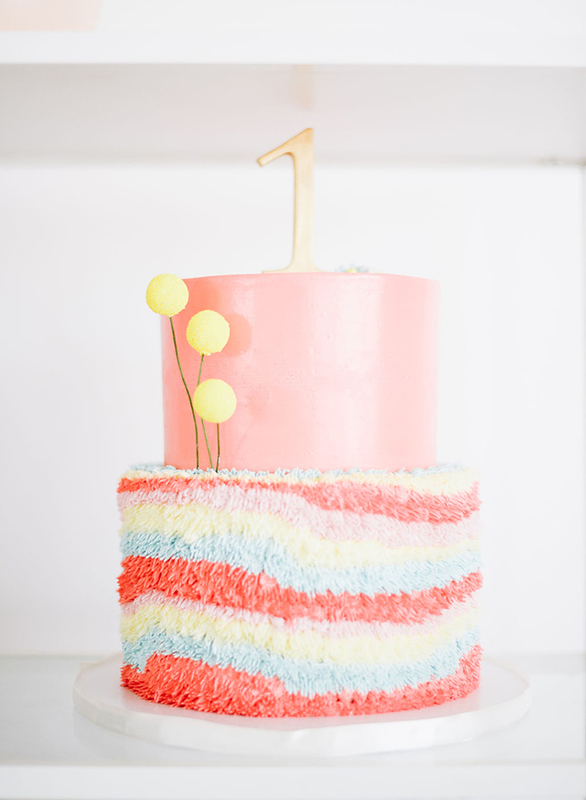 “Oh Joy!” is not only the theme of this colorful first birthday party, but also what you will be saying as you scroll through it! 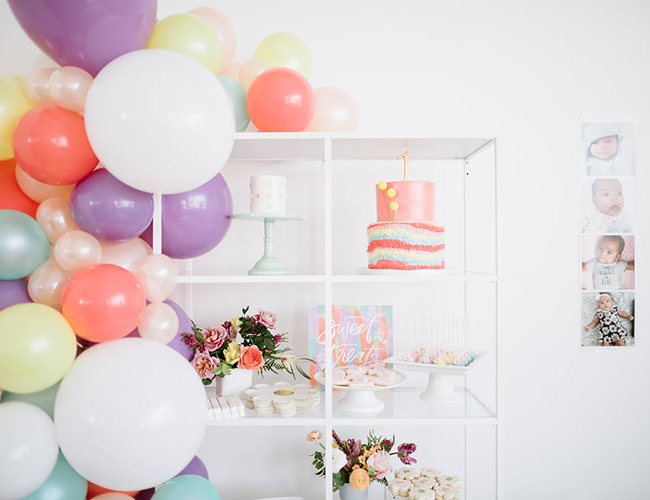 Complete with balloons, desserts, and every pastel color of the rainbow, how could it not fill you with joy? 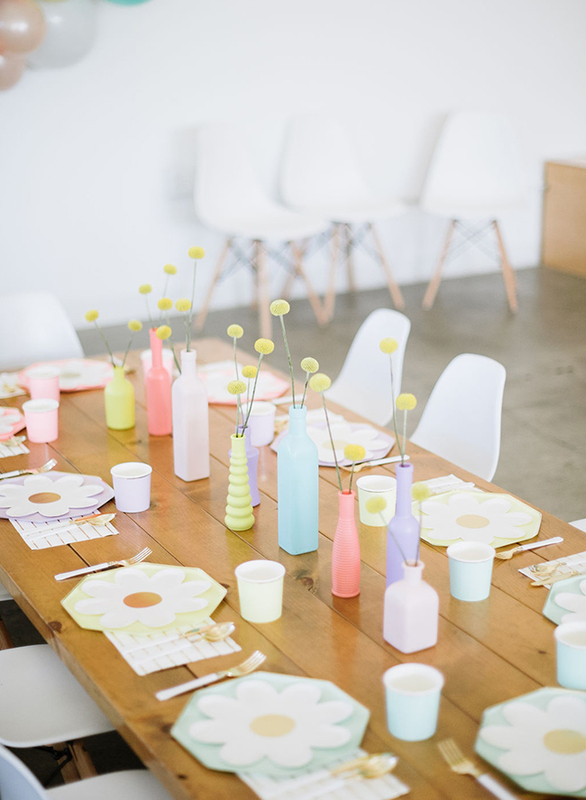 If you aren’t familiar, Blogger Joy Cho of Oh Joy! 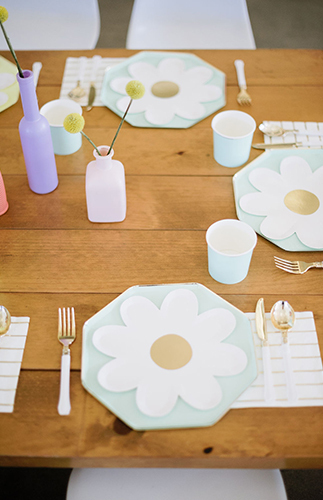 Is known for her fun & happy designs that are always colorful. 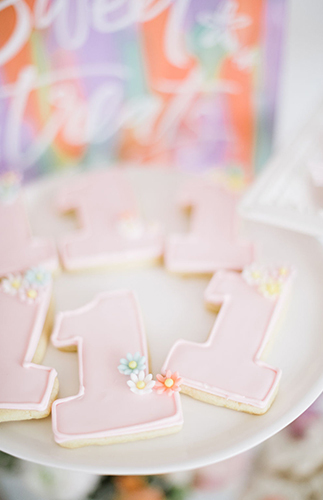 And when it comes to first birthday party ideas it doesn’t get more fitting than that! 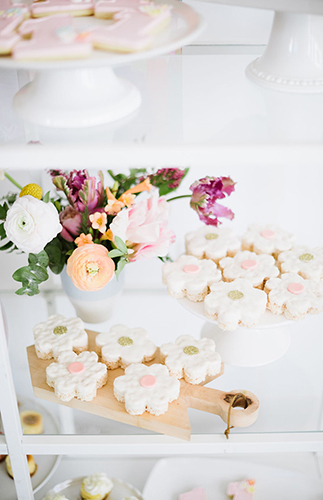 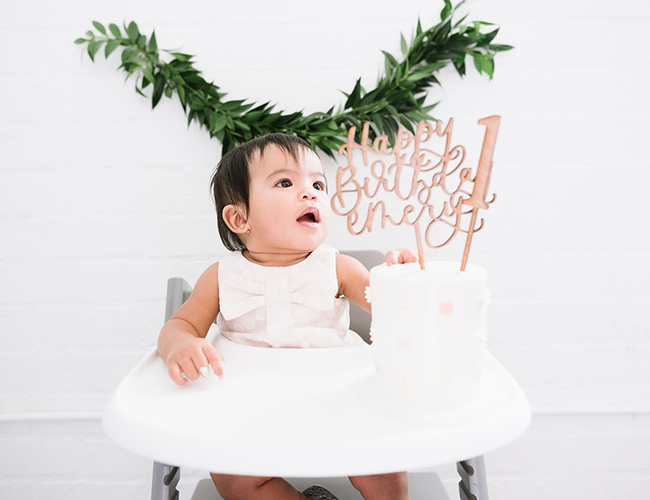 With that in mind, Beijos Events planned the perfect party for baby Emery and her family & friends. 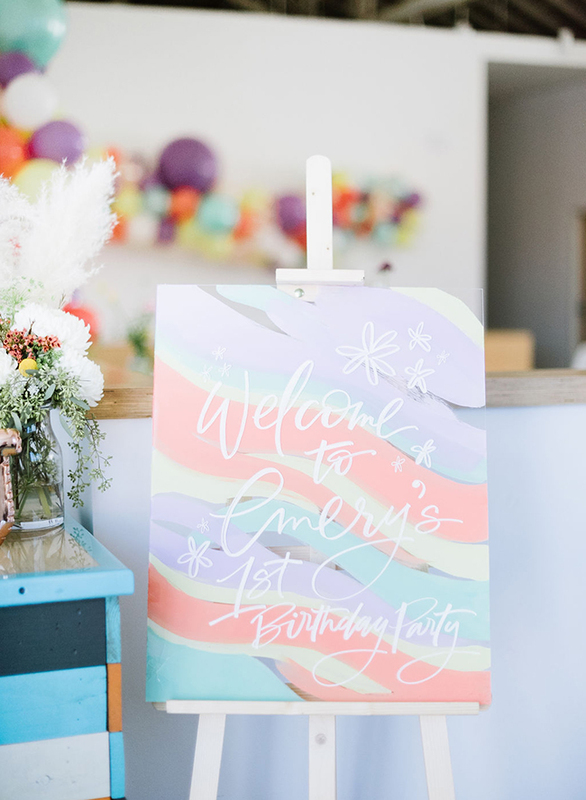 Read on for how they executed this pastel rainbow birthday party to a T.
When our client Anjelica reached out to us to plan her daughter’s first birthday party we were so thrilled! 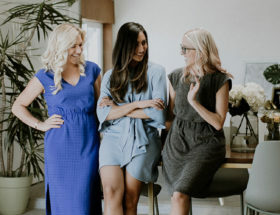 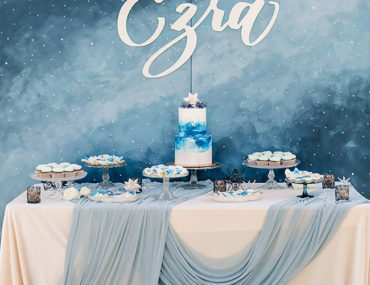 Her theme was one for the books – it was everyone’s favorite blogger, Oh Joy! 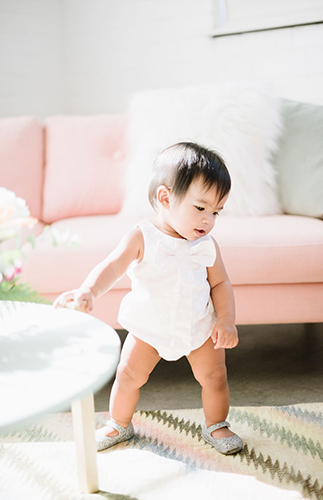 Who doesn’t love her?! 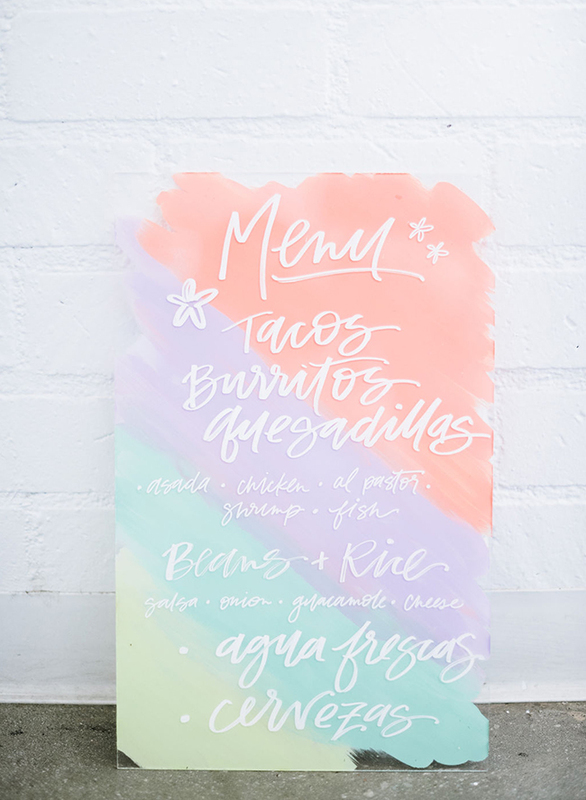 It was beyond fun to play with so much color for this one!! 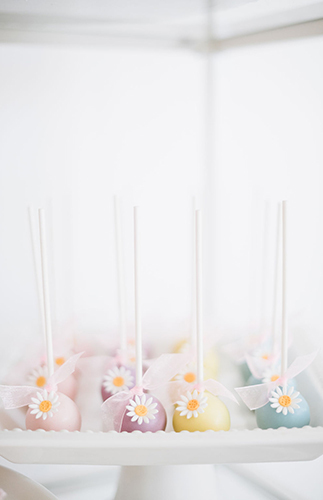 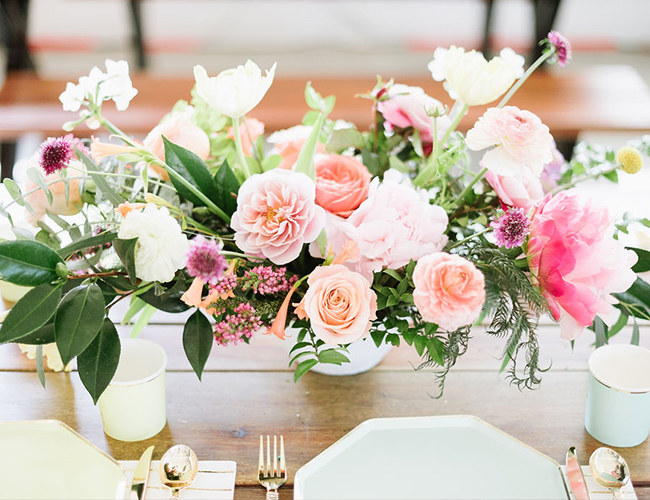 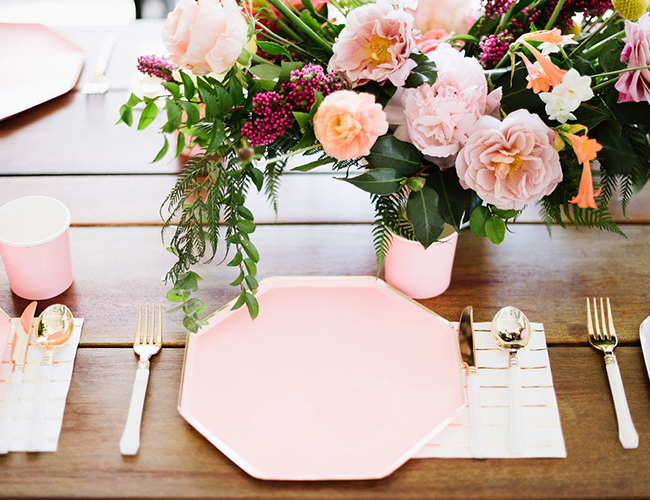 We went with pastel colors of the rainbow, daisies, stripes, gold and mid century touches… Sounds pretty perfect, right?! 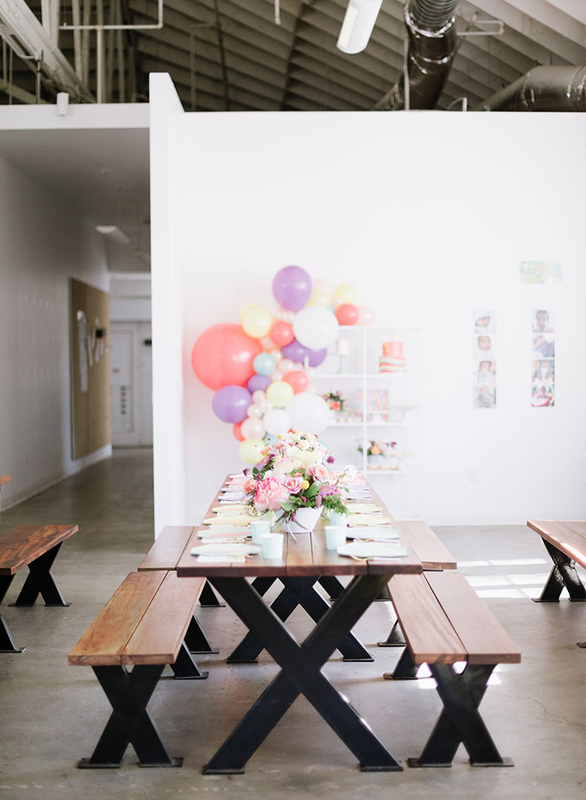 The party was held at Common Space LA which serves as a brewery, but also has this amazing event space. 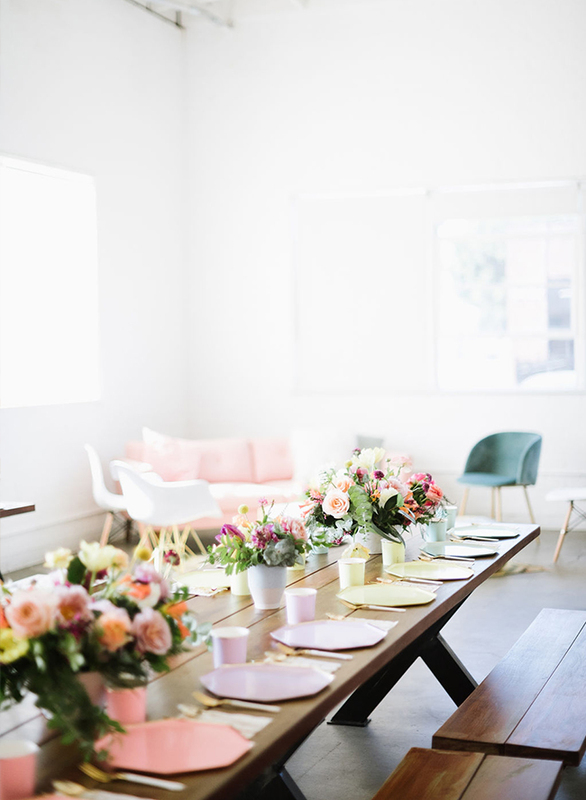 Guests got to sip on beer and enjoy the beautiful surroundings. 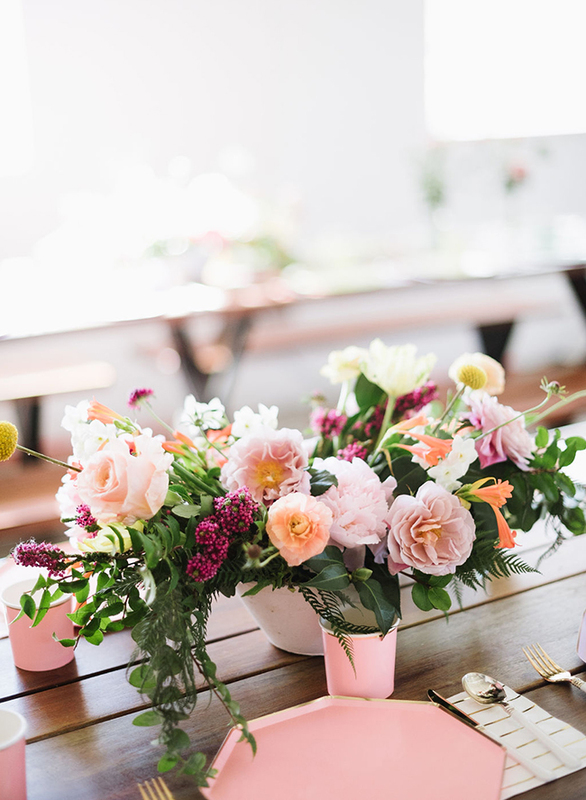 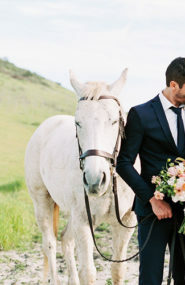 For florals we had our friend Sarah of Mulberry & Moss take the reins and she just nailed it. 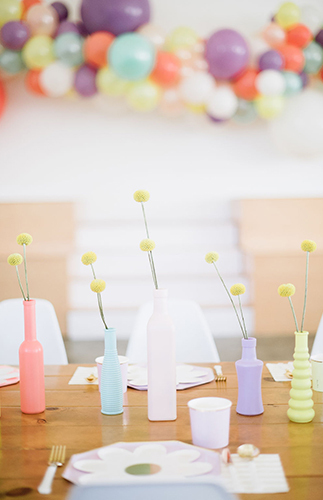 There were beautiful floral arrangements along the adult tables and along the kid’s table we did a series of bud vases with billy balls! 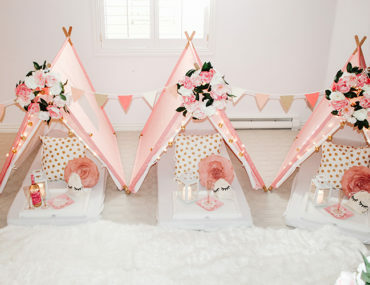 It was the cutest and just quintessential Oh Joy! 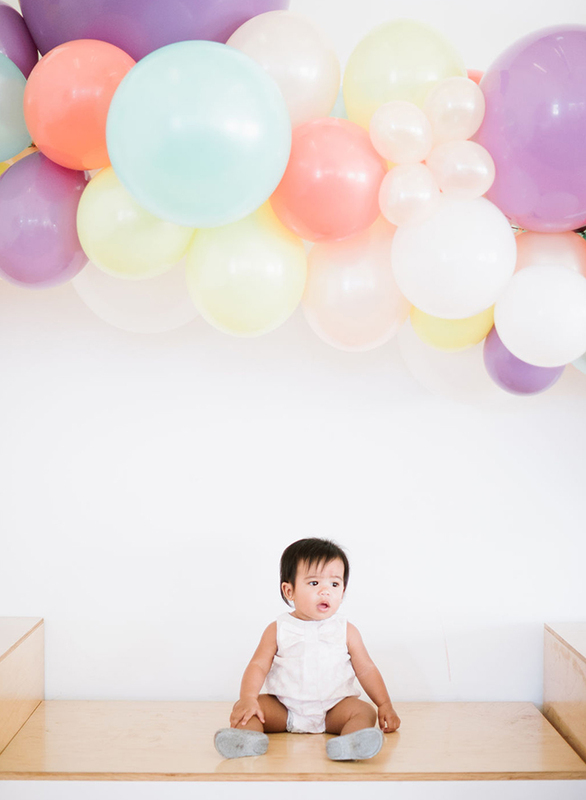 A first birthday isn’t complete without some balloons! 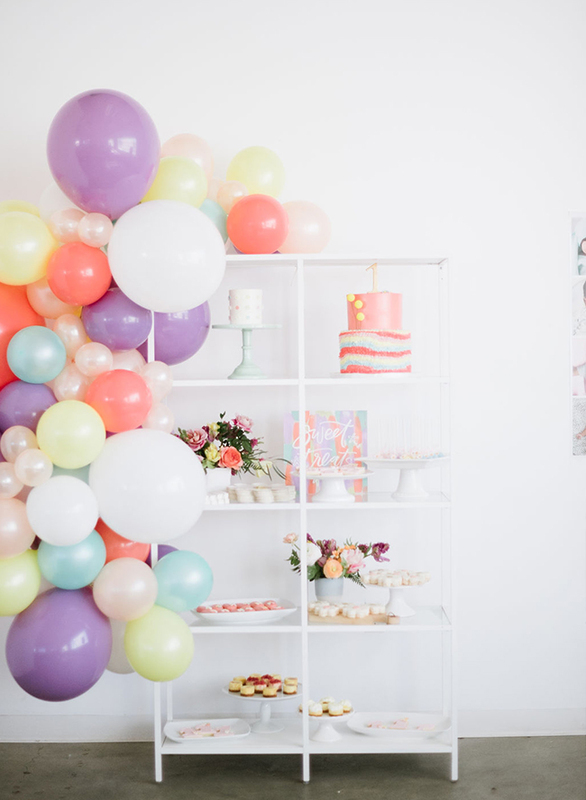 Up Up in the Air blew us away with the colorful balloon installations that brought so much life to the party! 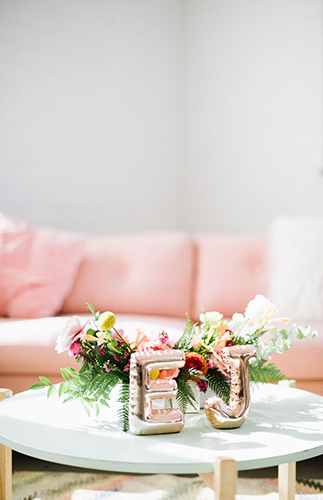 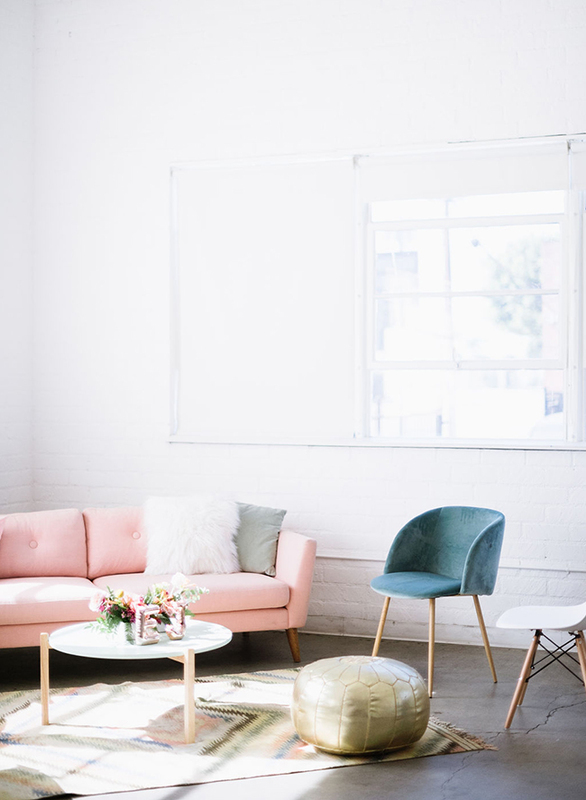 Add in a fun mid century lounge by Circa Rentals and cute details on signage and such by Meghann Miniello and you have yourself a party! 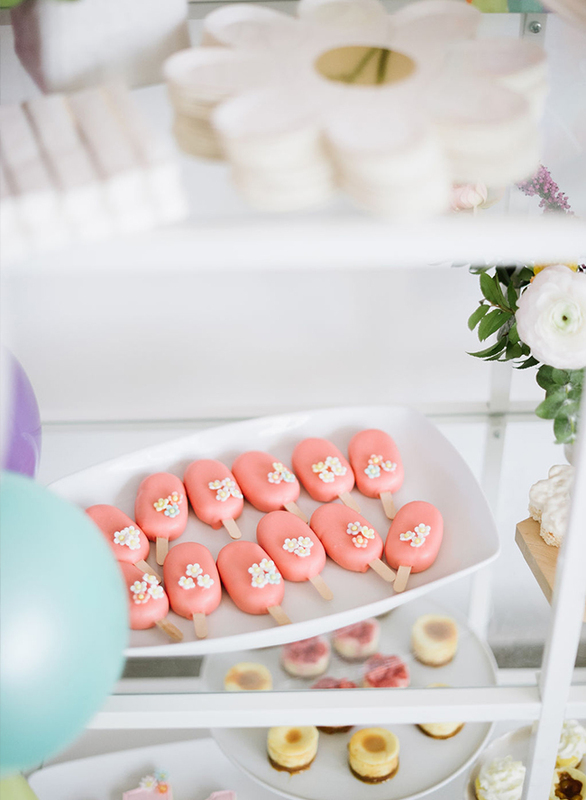 Last but never least, the desserts… I think these had to be the highlight!! 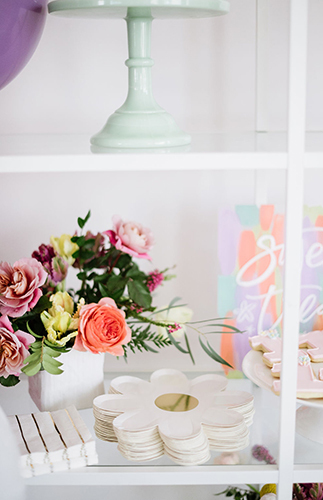 Sweet & Saucy Shop outdid themselves on this one with so much detail and color! 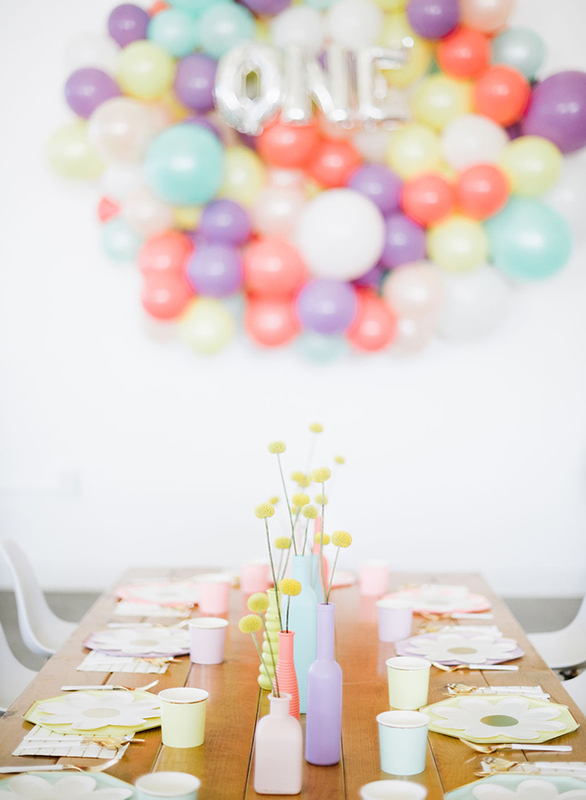 We absolutely love the way this party turned out, it puts a smile on our face – similar to how we feel about Oh Joy! 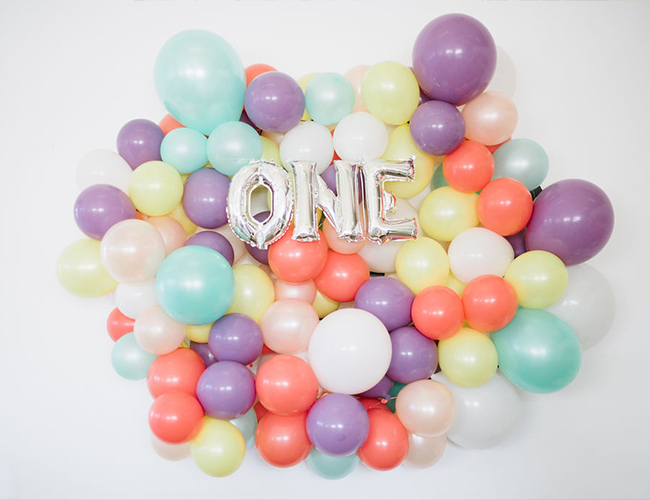 For more fun & colorful first birthday party ideas, see this sparkly celestial birthday party or this retro tropical first birthday party!